Rabbi Ruhi Sophia Motzkin Rubenstein became TBI’s rabbi in July, 2015, after graduating from the Reconstructionist Rabbinical College. 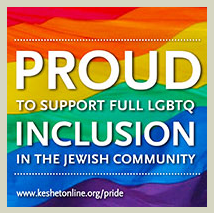 While completing her studies, she served for two years as a Cooperberg-Rittmaster Rabbinical Intern at Congregation Beit Simchat Torah, New York’s LGBTQ synagogue. She also interned with the Woodstock Jewish Congregation, the Hebrew Immigrant Aid Society of Pennsylvania, and GreenFaith, a New Jersey-based environmental organization. She also spent a year in Jerusalem through the New Israel Fund – Shatil Fellowship and received chaplaincy training through the Clinical Pastoral Education program at the Jewish Theological Seminary, in placement as a Hospice chaplain. Rabbi Ruhi Sophia grew up a rabbis’ daughter in Saratoga Springs, New York. 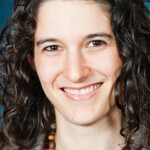 Prior to embarking on her rabbinical studies, Ruhi Sophia spent several seasons working as a Jewish environmental educator with the Teva Learning Alliance. She also spent three summers working as the Rosh Teva (Nature Director) at Camp JRF, the Reconstructionist summer camp. She continues to be committed to environmental issues. Rabbi Ruhi Sophia is vocally trained and brings a love of music, including melodies from the Nava Tehila community in Jerusalem and the Hadar community in New York. She is inspired by both the personal and communal aspects of the rabbinate: holding and guiding people in moments of joy and sorrow, and helping bring people together, whether to join our voices in prayer or to work for social justice. She is committed to deepening her own Judaism, and to constantly finding way to dialogue and connect with other faith traditions and communities. Rabbi Ruhi Sophia is married to Rabbi Jacob Siegel. Jacob is a musician and certified shochet (slaughterer of kosher meat) and mohel. They are delighted to be making their home in Eugene. Rabbi Yitzhak Husbands-Hankin became Rabbi Emeritus in July of 2015. He served as Senior Rabbi from 2003 until 2015. His service to Temple Beth Israel began in 1975 when he served as Cantor then taking on increasing responsibilities over the years serving as Religious School Director and Assistant Rabbi. He has served as TBI’s Rabbi since 1995. Rabbi Yitzhak was ordained as Baal Tefillah by Rabbi Shlomo Carlebach z’l, received his cantorial commission from the Cantors’ Assembly of the United Synagogue of America, and was ordained as Rabbi by Rabbi Zalman Schachter-Shalomi. 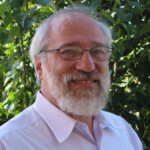 Rabbi Yitzhak is the past chair of the Committee for Ethical Kashrut of OHALA: The Association of Rabbis for Jewish Renewal, an affiliate member of the Reconstructionist Rabbinical Association, a member of Rabbis for Human Rights-North America, an associate of CLAL-National Jewish Center for Learning and Leadership, a Hevraya member in the Institute for Jewish Spirituality-Rabbinic Leadership program and is a member of the rabbinic cabinet of J-Street as well as a member of the Oregon Board of Rabbis. Rabbi Yitzhak brings his love of music to our community through beautiful melodies and songs shared at services, weddings, holidays and special occasions. He is a composer of Jewish liturgical music, a cellist and guitarist. His liturgical music is sung at synagogues throughout the country, in Europe and Israel. He has several recordings to his credit and is currently compiling a songbook of his compositions. Rabbi Yitzhak is married to Shonna Husbands-Hankin, a highly regarded Judaica artist and a certified Jewish Spiritual Director. They are the parents of two adult daughters, Talya and Shira.